In September of 2000, Jaime met a young man by the name of John Stoddart. After hearing John play the piano, he decided that one day he’d like to record with John, if John would be interested. Graciously, John accepted, and Blessed Assurance as well as Wonderful Peace are their first collaborations together released simultaneously. “These are two of our best recordings yet”, says Jaime. These songs have been approached with freshness, creativity, delight, gusto, depth, yet maintaining the simplicity that a classic hymn deserves. 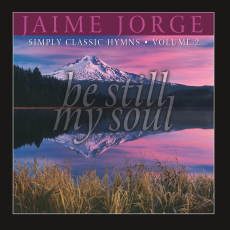 Following the structure of Simply Classic Hymns Volume 1, Be Still My Soul is a collection of 15 priceless hymns sure to quiet and thrill your soul. 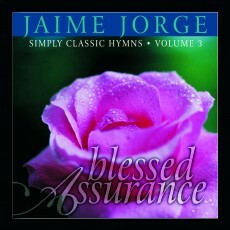 A special compilation CD of Jaime’s favorites songs, including newly recorded material. Includes: Amazing Grace, The Little Drummer Boy, ‘Tis So Sweet to Trust in Jesus, All Hail the Power of Jesus’ Name. The first 13 songs are from Jaime’s recordings (1987-1999). The next 3 songs are from Emily’s album Illusions, and the last two songs are brand new offerings. Jaime feels that “All Hail the Power of Jesus’ Name” is the best song he’s ever recorded! We are certain that this album is going to be a special addition to your listening library, and you’ll be tremendously blessed! One of Jaime’s finest recordings! This gorgeous album was recorded with the Hungarian National Philharmonic Orchestra in Budapest. Well known and loved Christmas hymns, carols and songs put you in the spirit of the season, whether it’s December or July! 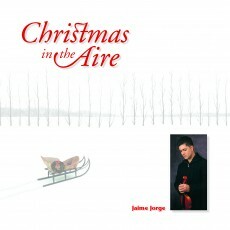 Spectacular arrangements by Paul & Stephen Tucker, along with the rich, luscious sound of the orchestra, and Jaime’s magnificent interpretations will bless you for years to come! 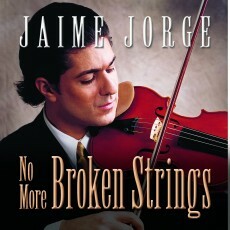 This CD was created to accompany Jaime’s book by the same title. Each song was chosen to be the theme for a chapter of the book. The CD insert explains why that song was chosen. 16 inspirational songs!